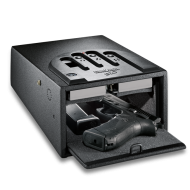 The Gun Vault 1000 Biometric handgun safe is the perfect solution for a quick access, strong protection safe. 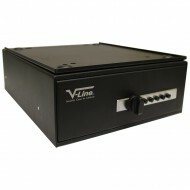 The biometric safe recognizes up to 30 registered fingerprints. 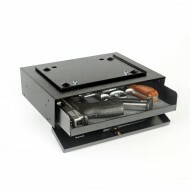 With a successful read, a spring loaded door opens giving access to your handgun or valuables. 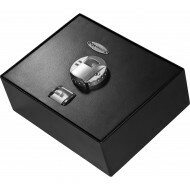 Tightly fitting parts along with a sturdy construction make this virtually pry-proof. 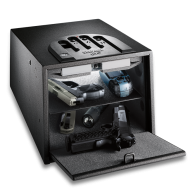 GunVault is a leader in Bio-metric safes - find out why today! 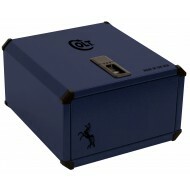 This GunVault case offers solid construction of 16-gauge steel with a soft foam interior. Depending on the size of your handguns, the GVB2000 can hold two pistols. 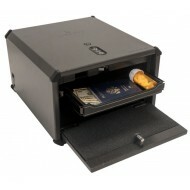 It comes with one removable shelf. 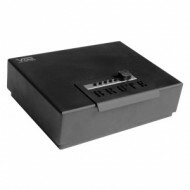 It can be bolted down to a surface or attached with a cable (not included). 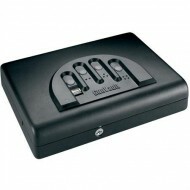 The electronic lock can handle up to 30 fingerprints and is easy to program. 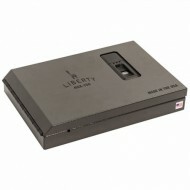 It comes with an adapter so you can use electricy instead of batteries.